This is a package of two black rubber tires from Tamiya. They are for 1:10 scale touring cars. 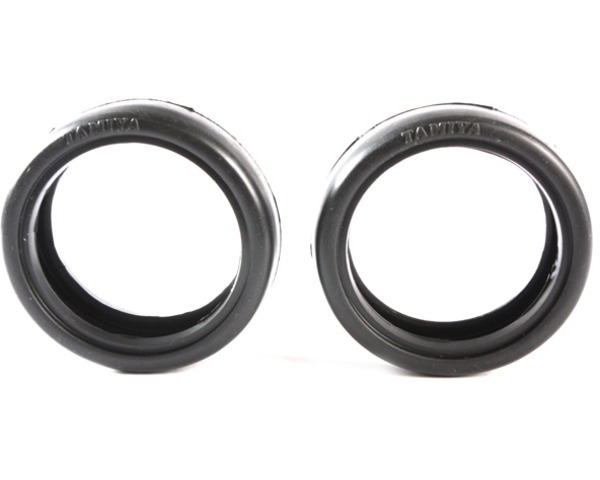 Tamiya recommends 24mm wide wheels.